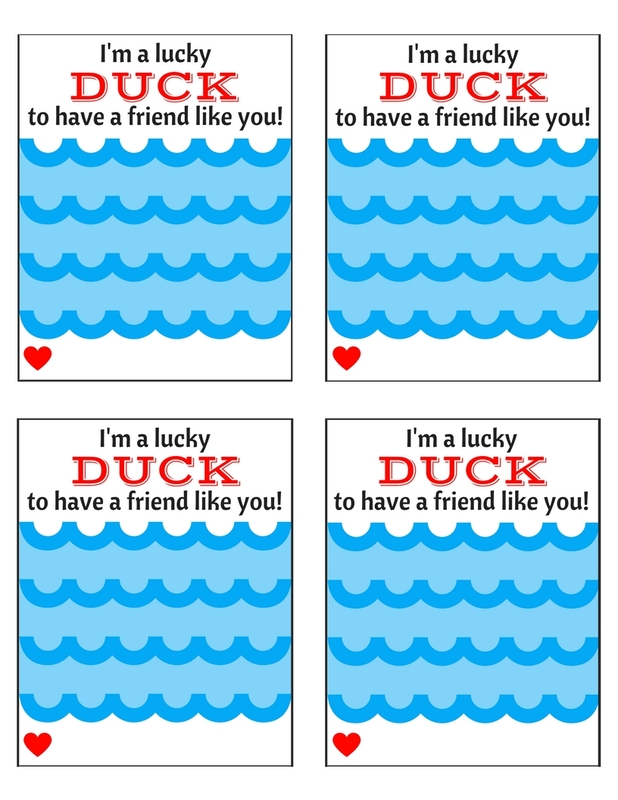 How adorable are these I’m A Lucky Duck Valentine’s Day Cards? Valentine’s Day is around the corner and many schools are asking for us to send non-candy treats if we send something. With so many different allergies I totally understand why! 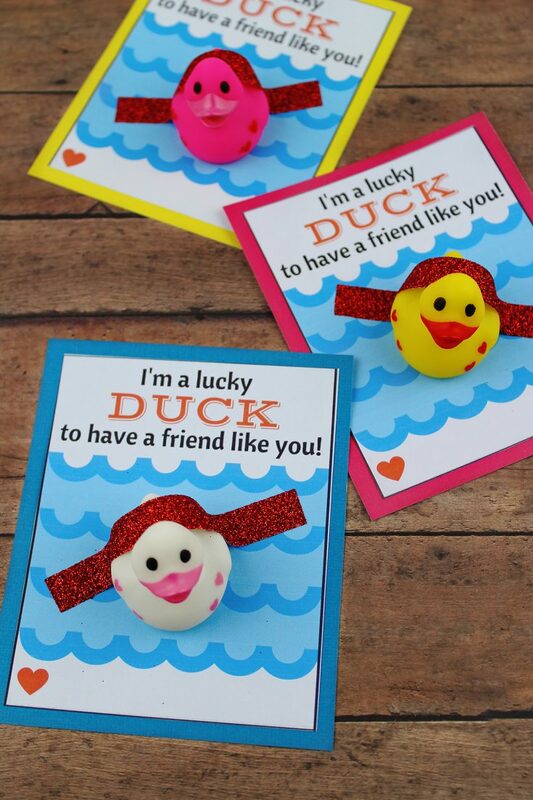 If you have a little one in daycare or kindergarten this fun craft would be perfect for them to gift to their Valentine’s. 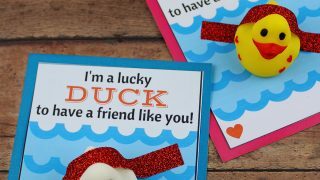 This Lucky Duck Valentine’s Day Card DIY is a perfect non-candy option for younger children to hand out to their friends on Valentine’s Day. 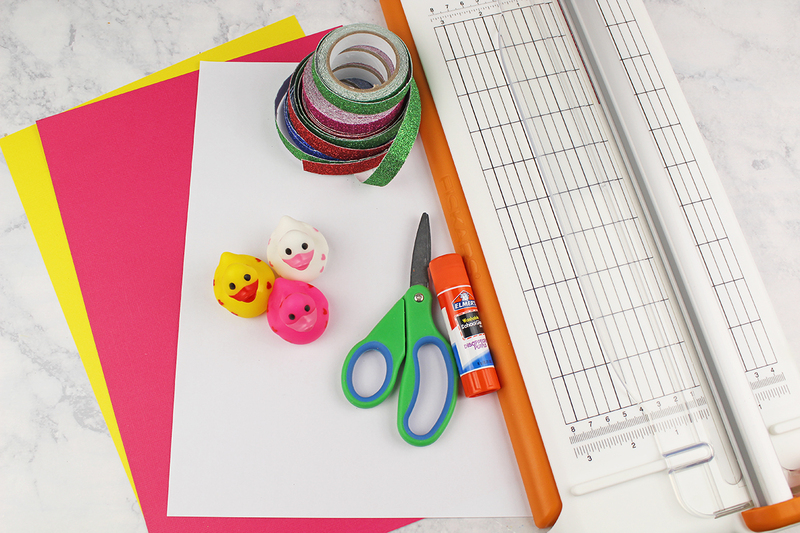 The kids will enjoy helping make something special for their friends, and what little one wouldn’t like a new rubber ducky for their bath! 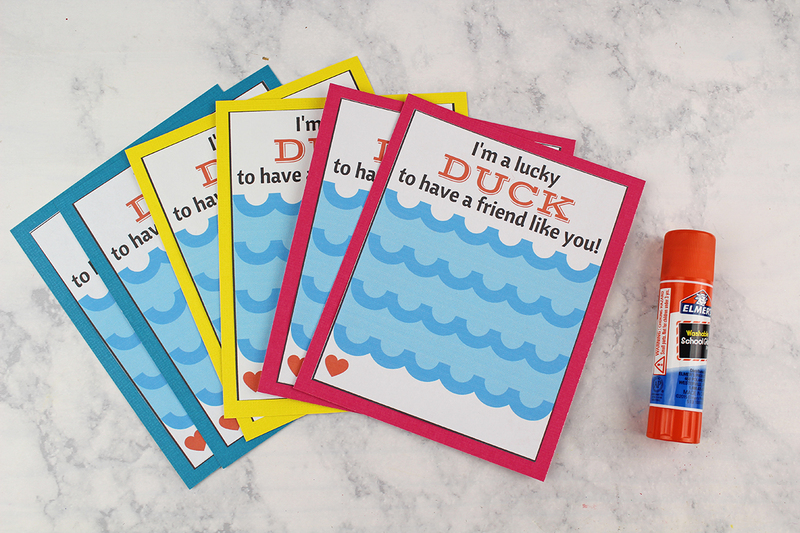 Follow along with the step-by-step instructions below, then print off the DIY supply list and instructions to make your Lucky Duck Valentine’s Day Cards! Print the Valentine’s Day cards using portrait mode in your printer settings. 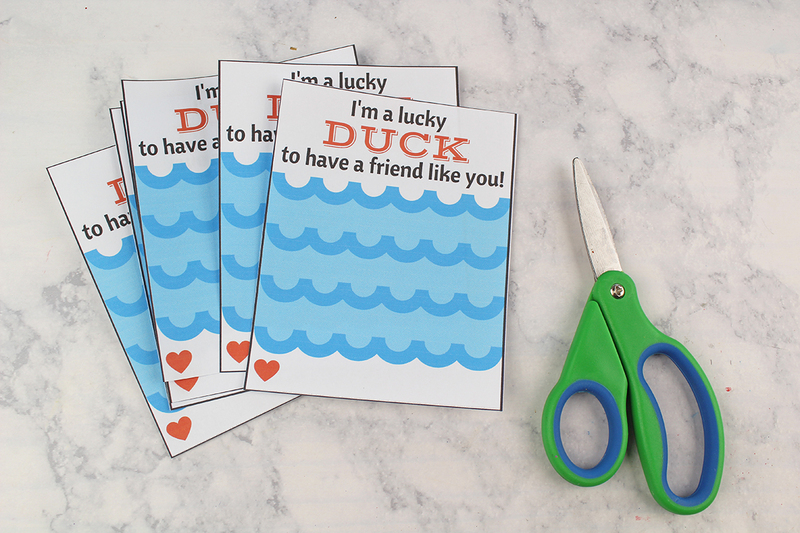 Glue the cards to the cardstock and allow them to dry completely. 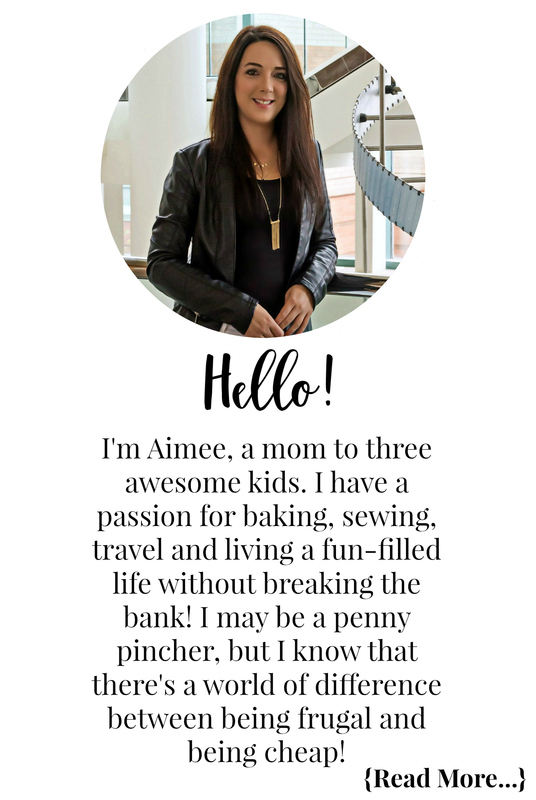 Print the Valentine’s Day cards - be sure to print in portrait mode. 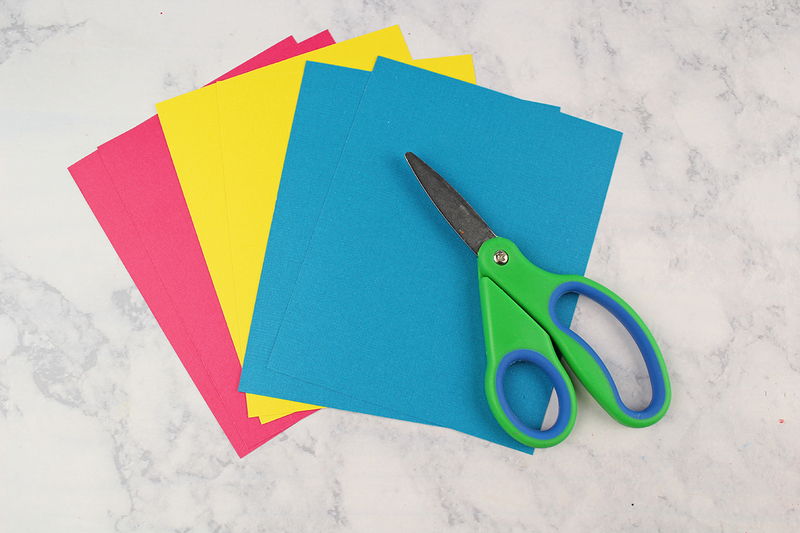 Glue the card to the cardstock. Allow to dry completely. Don’t forget to check out my Wild About You Printable Valentine’s Day Cards and the Butterfly Valentine’s Day Treat Bag DIY too!